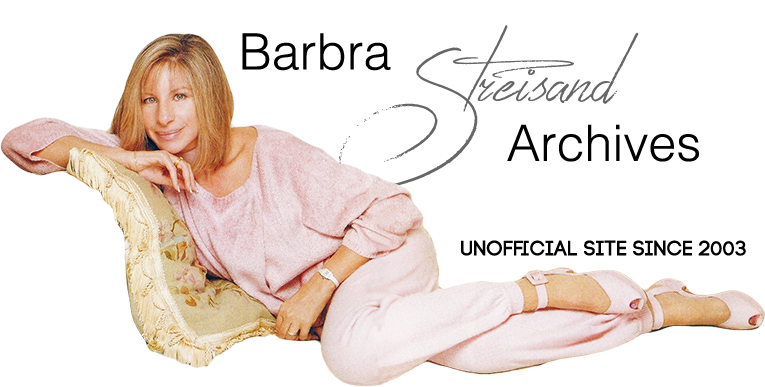 Los Angeles – The Human Rights Campaign announced today that it will honor Barbra Streisand with its Humanitarian Award at the organization’s annual gala at the Century Plaza Hotel in Los Angeles on March 6, 2004. Ms. Streisand is being recognized for her years of leadership, vision, and activism in the fight for civil liberties, including religion, race, gender equality and freedom of speech, as well as all aspects of gay rights. 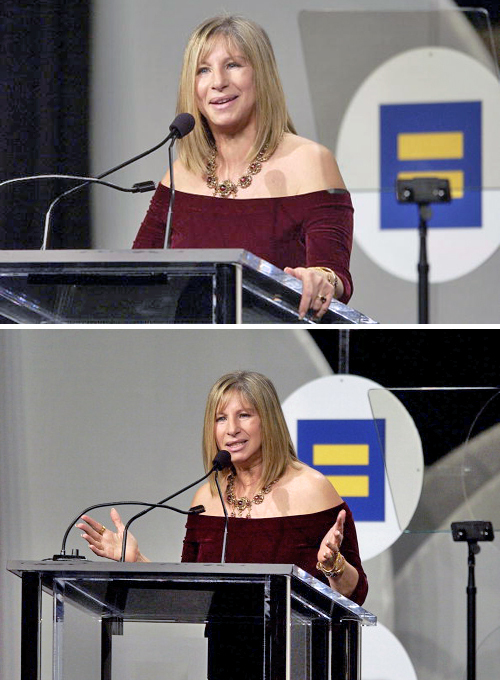 Barbra Streisand was honored with the Human Rights Campaign's Humanitarian Award at the organization's annual gala in Los Angeles on March 6, 2004. The law cannot dictate matters of the heart. When two people form a deep bond, there is usually a soul connection, and the soul has no gender. Life, liberty and the pursuit of happiness are fundamental rights in this country. Happiness can be many things – a good meal, a good friend, a warm puppy, and certainly ... love. How can anyone legislate who you can love? That is a human right, the right to love and be loved. Current civil union legislation doesn’t go far enough in protecting equal rights. We must not deny gay families many of the benefits that help keep families strong ... social security, pensions, veteran’s support, inheritance, the right to take unpaid leave to care for a spouse...the list goes on and on. Instead of helping families, this president wants to spend a billion and a half dollars to bolster marriage. Turning government into a marriage counselor is a joke...a waste of time and money. It’s not a policy; it’s a diversion. You have to look at what Bush does, not what he says. Talk is cheap. He expresses empathy for military families and then cuts their benefits...He names a proposal “The Clear Skies Initiative” that pollutes the planet...He says he’ll be a uniter and then drives us apart...He steals the slogan “No Child Left Behind” and then breaks his promise to fund his reforms. Before the war in Iraq, I went to hear Scott Ritter speak – he had been a weapons inspector for seven years. He told us there was no imminent threat to the United States, that the program to develop nuclear weapons had been dormant since 1998. There was no connection between Iraq and al Qaeda (one is a secular society and the other fundamentalist), that chemical weapons have a short shelf life and wouldn’t be usable today ... in short, everything Scott Ritter told us has turned out to be the truth. But ...there is hope. It’s starting to turn. I can feel it. The media is finally asking the president and his staff the tougher questions, and looking into the issues that should have been investigated years ago. The people are speaking out at all levels from the grassroots to Washington. All of the good work so many people are doing is finally making a dent. We won’t be scared into submission. What should scare us is that we have no checks and balances on this administration. They control the White House, the Senate, the House of Representatives and the Supreme Court. All we have is each other. So each of us must do what we can to create positive change in November. I know the Human Rights Campaign will be at the center of the struggle for equality. And let’s be smart...Let’s be pragmatic ... Let’s not allow the Republicans to use gay marriage as a political tool in this election year. Truth and justice eventually wins out.